We look forward to welcoming you to Crop & Create Thunder Bay 2017, our 5th time in Thunder Bay! On behalf of the whole team, WE ARE SO EXCITED to see you (and see some of you again!) at this special one-of-a-kind event! As you may have some questions, we thought we would provide some additional helpful information for you to consider as you are getting ready. On Friday evening we will have a beautiful dessert buffet. On Saturday we will be serving a gourmet soup, salad, sandwich buffet for lunch which will include tea/coffee and dessert. Saturday evening we will have a sweet treat along with coffee and tea. Sunday morning we will have tea, coffee, juice and some pastries to start the day! Due to the expense of coffee/tea service, we will not be able to provide coffee/tea all weekend long, just at the times noted above. However, you will find it easily in the hotel or nearby. Don’t forget to join us at 9:30 p.m. on Friday evening for a fabulous dessert buffet AND a teacher meet n’ greet/make n’ take session sponsored by so many of our amazing partners! Absolutely! We chose the Valhalla Inn & Conference Centre for that purpose. The main crop area, classroom, and hotel rooms are all wheelchair accessible and we will make every effort to deal with any special dietary requirements. Registration opens at 8 PM EST on May 26th. Past attendees to ANY Crop & Create event can register on Alumni evening at 8 PM EST on May 25th. Just click here to register. It’s fast and easy! A confirmation email will be sent to you within 5 business days of registration. While we cannot offer refunds, you are welcome to make arrangements to give your space to a friend! Please just let us know at least 72 hours before the event opens. After you have registered, you will receive a confirmation email within 5 business days from Jen, our Director of Customer Happiness. Be sure to review this email as it will include confirmation of the classes you have signed up for as well as a few questions that we require responses to. We ask that all seating requests be emailed to jen@scrapbookandcards.com by October 1st and we will place you all together to the best of our ability! We will try to have a few small tables around the room to place any equipment that might require electricity. We cannot run extension cords to tables. If you need additional lighting, please be sure to bring a battery operated light. If you have any dietary restrictions please send us an email by October 1st at jen@scrapbookandcards.comand we will try to accommodate any special requests! What hotel accommodations are available for the event? We have secured a certain number of discounted rooms at the Valhalla Inn for those who wish to stay on the event premises (recommended). The Valhalla Inn has provided us with an amazing rate of only $119 per night for their standard guest room (plus taxes). You may wish to reserve your room as soon as possible to take advantage of these discounted room rates. To reserve your overnight accommodations for Crop & Create, please contact the Valhalla Inn at 1-800-964-1121 or (807) 577-1121 or by email at reservations@valhallainn.com. Please quote booking number 171013SCRA. Information regarding parking and directions to the Valhalla Inn and be found HERE. Parking for guests joining us for Crop & Create Cornwall is complimentary. Please note, you will need to register your car at the front desk when you arrive. How do I register once I arrive at the event? Registration will open at 3:00 p.m. on Friday! We will have a very smooth and quick registration process! Short opening announcements will be at 4:00 p.m. We will have a full team introduction at 9:15 pm Friday before we break for our dessert buffet at 9:30 pm! When you register at the event (and pick up your fabulous “goody” bag!) you will be provided with a lanyard with your name and class information on it. Please be sure to wear it at all times when entering/exiting the crop and also when you attend each class. If you have a lanyard from a past event, please feel free to use that one again! 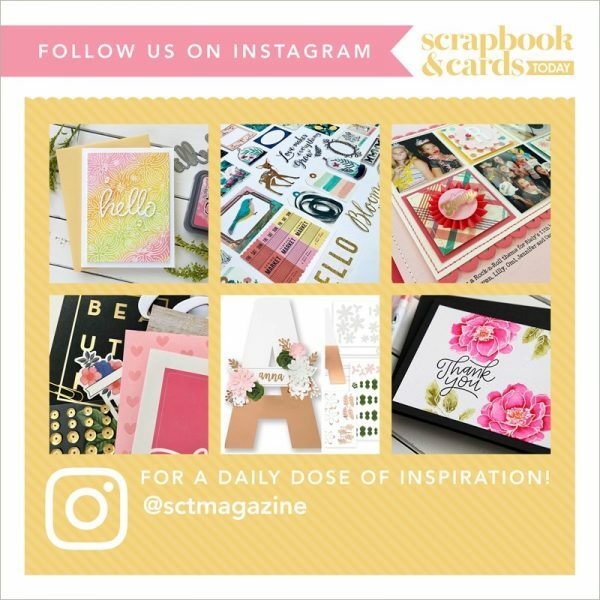 We are excited to The Scrapbook Cottage joining us at the event all the way from Winnipeg! Sharon always makes sure to have an incredible selection of products and fun things planned for you! Get ready to have many laughs in our Crop & Create Photo Booth! If you have not see the fun pictures, be sure to “like” Crop & Create on facebook and see the good times we have in there. Be sure to bring your cameras to record all the memories! As we don’t have a liquor license, we would ask that you not bring any alcohol to either the classrooms or the crop area. The Valhalla has two restaurants and a lounge for dining and drinks. Please note we are not permitted to bring outside food into the main crop ballroom for liability/insurance reasons. If you have any additional questions, please contact us anytime at jen@scrapbookandcards.com or catherine@scrapbookandcards.com or by telephone at (416) 855-9637. We are only too happy to help! See you in at Crop & Create Thunder Bay 2017!